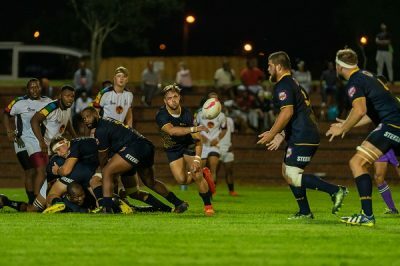 FNB Madibaz rugby captain Riaan Esterhuizen says the hard work they put in during their pre-season programme is paying dividends in the FNB Varsity Shield competition. The Nelson Mandela University side maintained their unbeaten run when they defeated Tshwane University of Technology 62-5 at the Madibaz Stadium in Port Elizabeth on Monday. It was their biggest win of the season and secured them a home semifinal with one match remaining in the league phase of the tournament. "I believe the hard work we put in during the build-up to the season is now beginning to pay off," said Esterhuizen. "We understand what we need to do in certain situations and we have been playing some decent rugby. "Our focus has been on trying to maintain the levels we set ourselves when we competed in the Varsity Cup." While satisfied with their overall efforts, Esterhuizen gave an indication of the standards they wanted to maintain when he said there were still too many mistakes in their win over TUT. "We struggled for most of the first half and made some silly mistakes," said the Madibaz centre. "After the break we managed to put our foot down and scored some good tries, but then we let things slip in the final 10 minutes which stopped our momentum." Despite their winning streak, he added that they would take nothing for granted. "The thing is, with the results we are getting it is natural to build our confidence. But the main thing is that there is still not a trophy on our table. "We know that whoever we play in the semifinals anything can happen in a once-off match like that and we will continue to keep working hard and to focus on the task ahead. "Any team can rock up on the day and put in a massive performance, which was shown last night (Monday) when Fort Hare beat Kwazulu-Natal." Esterhuizen said the win by Fort Hare came at a good time for Madibaz, as they play their final pool game against the Alice outfit on Monday. "It just goes to show . 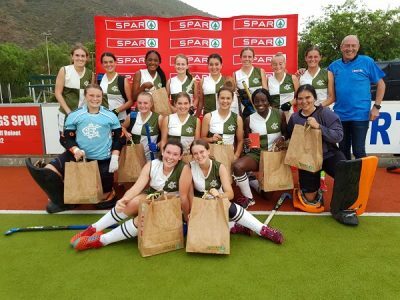 . .
DSG demonstrated the benefits of being quick out of the blocks when they emerged as the winners of the PE North tournament in the SPAR Eastern Cape Schoolgirls Hockey Challenge in Graaff-Reinet on Friday. The Grahamstown school scored an early goal in their key pool match against Kingswood to win 3-1 and repeated that effort in the final against Union High, winning 3-0. Winners of the 2016 version of this event, DSG became the first team to qualify for this year's provincial finals, which will be played in Port Elizabeth on July 27 and 28. Coach Chris Hibbert said they had thoroughly enjoyed the day, which had been well hosted by Union High and the local SPAR retailer. "There was a very good turnout and it was a great learning experience for several of the schools," he said. "I think our girls outdid themselves on the day and it was all set up by the match against Kingswood, where we started strongly." As the leading schools in pool B, that encounter was tipped as the possible decider for the section winners and Hibbert said DSG's early goal made all the difference. "Kingswood are a really good side, but I think they will admit themselves they weren't quite at their best in our clash. "We managed to win 3-1 in a 20-minute smash and grab job, jumping on them from the start and snuffing out their big threats. "Scoring early in these games puts the pressure on the opposition, who then go chasing the game. "We were able to score once more and Kingswood pulled off their goalkeeper to go on an all-out attack. They got one back, but then we added a third from a penalty corner." Facing Union High in the final, a repeat of the 2016 decider in Grahamstown, Hibbert said they knew it would be very different from a recent match in an East London tournament when DSG beat the Graaff-Reinet outfit 4-1. "Union had scored quite a few goals during the day and we were aware we would be up against it and needed to start strongly. "Again, we managed . . . 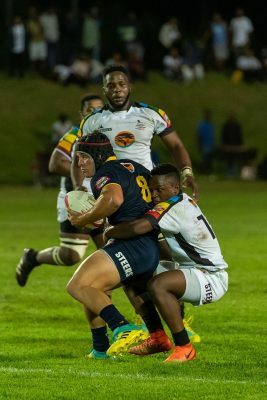 The FNB Madibaz rugby team will resume their FNB Varsity Shield campaign with fresh energy when they host Tshwane University of Technology in Port Elizabeth on Monday. The match at the Madibaz Stadium starts at 6.30pm and will see the Nelson Mandela University side back in action after a bye this week. Coach Jarryd Buys's team are sitting on top of the log with a maximum haul of 20 points from four matches, but he emphasised they would continue to focus on the strategy which had got them this far. Even with their next two opponents - TUT and Fort Hare - in the bottom half of the log, he said they would not lose sight of the processes they had in place. "At this stage of the season there is no trophy in front of us and we haven't accomplished anything yet," said Buys. "Whether the teams we face are sixth on the log or first, we need to make sure the momentum is still there leading into the semifinals. "After a hectic start [with three matches in eight days], this part of the competition is on a week-to-week basis, like any other normal rugby season. "We need to use this time to build momentum and to make sure the guys continue to work together." Buys said if they started worrying about what other teams were doing it would distract their focus. "We are just aiming at getting a good log position to try to make sure we get a home semifinal." While Madibaz are assured of a top-four spot, he added it was important to keep the winning momentum in order to attract the necessary support. "There has been a great vibe at the Madibaz Stadium but, as with many sports, the more you win the more support you receive. "That's also why we need to make sure we put our best foot forward against TUT on Monday because we want to strengthen the student interaction at the matches, which has been great." The Madibaz mentor said the break for the team "came at the perfect time". "You could see in the game against University of KwaZulu-Natal last week . 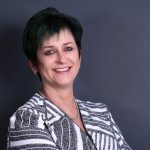 . .
Making sense of rental deposits Just Property’s Shaun du Bois has some important advice for tenants on the ins and outs of how to protect (and get back) your deposit. Many tenants worry about the security of the deposit they pay on rental properties. Shaun du Bois of Just Property believes that education is key to their peace of mind. “There is a lot of mistrust around the question of paying a deposit and getting it back at the end of a lease,” he says. “In my experience, a successful outcome is assured when you have a good rental agent, who clearly explains everything to both landlords and their tenants upfront. He or she should play the role of trusted go-between and make sure both parties understand their responsibilities and what they are committing to when they sign the lease on a property.” For tenants who are concerned or those looking to rent their first property, Du Bois outlines the process and answers the questions on many tenants’ lips. The law clearly outlines how deposits should be handled The rental deposit is normally paid by the tenant to secure a property, once the lease has been signed. Section 5 of the Rental Housing Act of 1999 provides for this. In South Africa, the deposit is usually equivalent to one month’s deposit, but it may be different, depending on the risk appetite and affordability of the contracting parties. 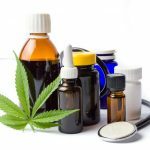 The deposit is an amount negotiated and agreed between the landlord and the tenant and there is no legislation that governs what that amount should be. Of course, the higher the deposit, the better it is for the landlord in terms of the amount he will have at his disposal to repair any damages or defray outstanding utility costs at the termination of the lease. “In the past, the utility bills did not come to a high percentage of the rental. These days we have to contend with Eskom's compounding increases and utilities bills often being as much as eight weeks in arrears. 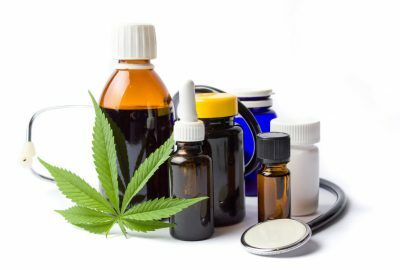 This can leave landlords out of pocket . 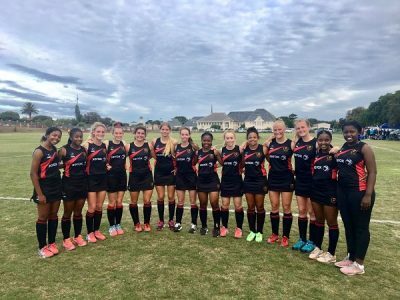 . .
Kingswood College are geared up for their title defence but know they face a stiff examination when the opening leg of the SPAR Eastern Cape Schoolgirls Hockey Challenge gets under way on Friday. The Port Elizabeth North tournament will take place at Union High in Graaff-Reinet, with the host school one of the strong contenders to regain the title they won in 2017. A total of 11 schools will compete in two pools, striving to become the first qualifiers for the provincial finals to be held in late July. Kingswood, from Grahamstown, are the defending champions but coach Bevan Bennett said they realised the competition would be keen this year. "Overall the opposition looks much stronger this time and we have [Grahamstown rivals] DSG in our pool, so it will certainly be a tough battle to end top of the section," he said. "Similarly, Union High will be a difficult side to beat in the other pool." The nature of the tournament, in which matches are limited to 20 minutes, means there is little room for error. Bennett said the side which scored first often went on to win. "You have to be on your game from the start and if you get an early goal it puts you in the driving seat," said the Kingswood mentor. "A lot of success depends on how well you start the match and if you can maintain that throughout the 20 minutes. "You need to be accurate in your attack and if you get an early goal you treat it like the last 20 minutes of a game, with a lot of concentration on your defence." Bennett said it was about mixing an attacking mind-set with a sharpness in defence because "conceding a goal through one error can be very detrimental". He said the players loved the event, while it gave the coaches a perfect opportunity to test their squad members in a pressurised environment. "Coming at this early stage of the season it's a chance to see who has come through the ranks and how they deal with the challenge of playing in a tournament of this . . .
As part of its Operations Switch On bursary campaign, The IIE's Varsity College Port Elizabeth campus will be giving registered NGO/NPO's the opportunity to apply for a bursary for a Short Learning Programme at The IIE's Business School at Varsity College. Interested parties may send a motivational letter as to how they will benefit from the Short Learning Programme plus their CV via email to Student Relations Manager Jaci Howell (jhowell@varsitycollege.co.za) by Monday, 25 March. Jaci will also provide applicants with the list of relevant Short Learning Programmes. The bursary forms part of The IIE's Varsity College Corporate Social Investment Initiative aimed at facilitating community based skills development which could enhance skills and ultimately service delivery for the NGO/NPO's staff. 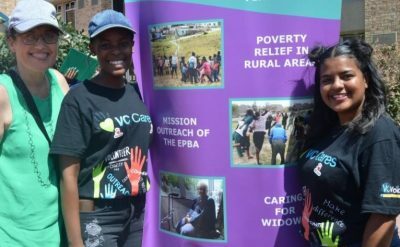 Several NGO/NPO's participated in the campus' recent NGO Open Day - a day which serves as a platform for NGOs to interact with students and staff, informing them about the services they offer and what their organisation represents. Likewise, students and staff had the opportunity to explore volunteer opportunities close to their hearts which then provides a way to give back positively to the community. "When meeting so many inspirational people that dedicate their lives to such great causes it gives me hope that humanity isn't just a word in the dictionary," says Robyn Steytler, IIE Bachelor of Arts 3rd year student. CLICK HERE to submit your press release to MyPR.co.za. . . .
A staggering one in five road accidents in South Africa are caused by tyre failures*. 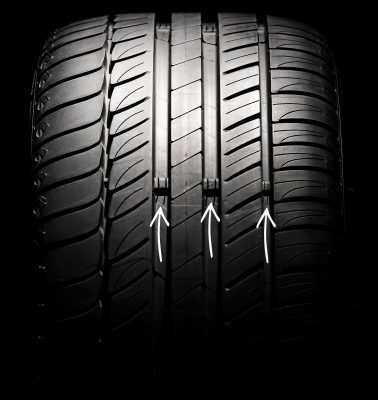 To help driver’s be more tyre safe, small rubber moulded inserts, called ‘Tread Wear Indicators’ (TWIs), can now be found in the tread grooves on all passenger and SUV vehicle tyres on South African roads. TWIs are a useful tool to help drivers determine the amount of remaining tread on their tyres. The TWI enables motorists to visually compare their tyre tread depth to the legal minimum tread depth of 1 mm. Once the tyre tread and the TWI are level, it is time to buy new tyres if you have not done so already. This life-saving announcement comes a few weeks ahead of the Easter holidays, when many South Africans are preparing for long car journeys, travelling out of town to visit family and friends. The number of car accidents recorded on South African roads tend to peak over the Easter break and the festive season, when many more motorists are driving long distances on holiday. “Driving on worn tyres is a huge safety hazard – for you, your passengers and other road users,” says Carlo Baldocchi, Tyre Sector Manager at the South African Tyre Manufacturing Conference (SATMC). “Cars with low tyre tread experience increased braking distances, have less traction on wet surfaces and are more susceptible to punctures, which can lead to sudden blowouts,” he continues. “Tyre safety has often been ignored while addressing other road safety messages; however, tyre safety is one of the most important factors which drivers need to be aware of at all times. Tyres are what keep a driver and their passengers off the tarmac. At any given time, there is very little tyre actually on the road – four hand-sized contact areas to be exact! We urge drivers to check their Tread Wear Indicators before the Easter holidays, and keep themselves, their loved ones and other road users as safe as possible,” says Baldocchi. In an attempt to raise awareness of tyre safety and the existence of the . . . 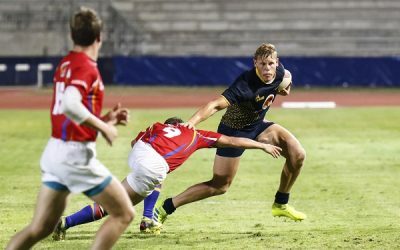 The FNB Madibaz rugby team are riding the crest of a wave in the FNB Varsity Shield this season, but star loose forward Bevan Prinsloo says they will stay humble and remain focused on their goals. Prinsloo was named the Player that Rocks after scoring four tries in the Nelson Mandela University side's 41-12 win over University of KwaZulu-Natal in Maritzburg last Monday, their fourth straight win in the competition. The team have a bye this week but will be well placed to secure their spot in the top four play-offs when they resume their campaign against Tshwane University of Technology in Port Elizabeth next Monday. A first-year sports management student, the 19-year-old Prinsloo said they were pleased with their results but would not get carried away with their success. "We are staying humble and keeping our feet on the ground," the eighth man said. "I think that's how any team should be. "The guys are pleased with the way we are playing and we want to build on that and try to go from strength to strength." The former Grey High captain, who grew up in PE but now lives in George, said their overall aim was to win the Varsity Shield with a view to returning to the Varsity Cup competition. "Our aim for the rest of the season is to make sure we don't slip up anywhere and stick to the processes that we know." Prinsloo said his success this season was underpinned by a desire to add value to his team. "My goals are very simple and that is just to go out there and try my best, never give up and always be there for my teammates. "I try to do that by carrying the ball up hard to make metres and build momentum for the team." He added that he was on a learning curve at Madibaz rugby and enjoying the freedom that came within the team's playing structures. "The environment is very welcoming and enjoyable and the coaches are very good. They know how to handle players and it creates a great environment for your development as a player." While . . .